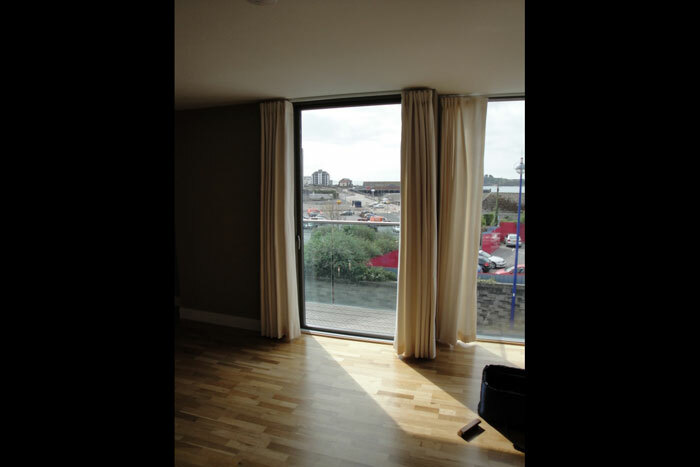 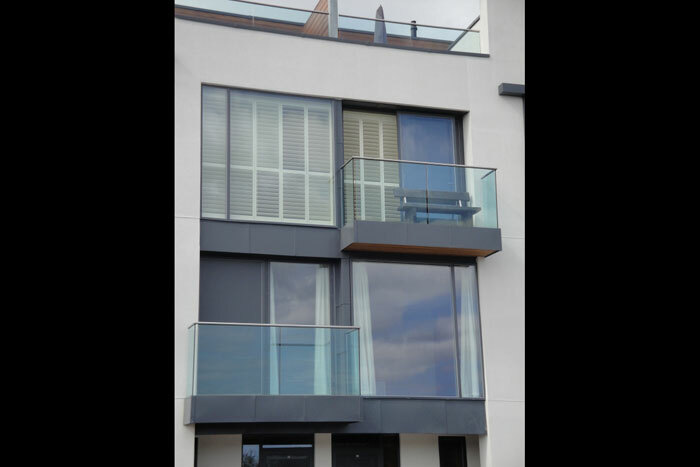 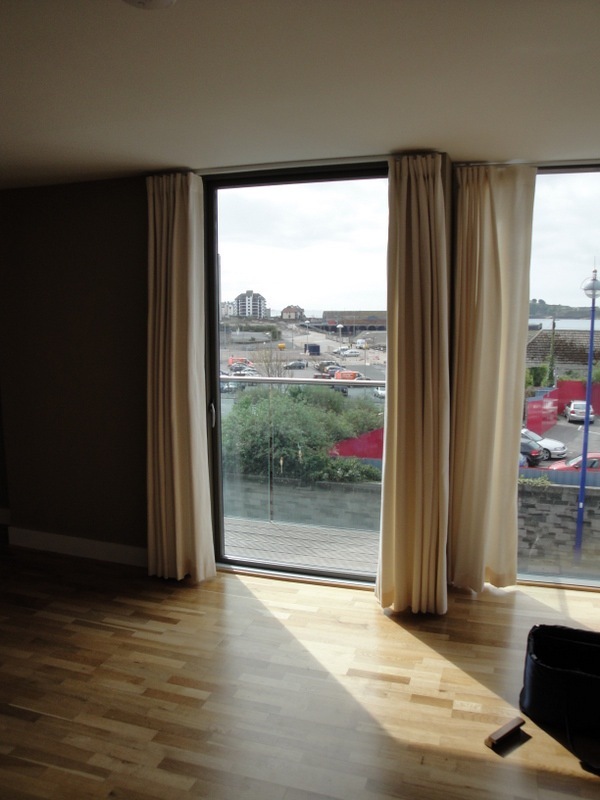 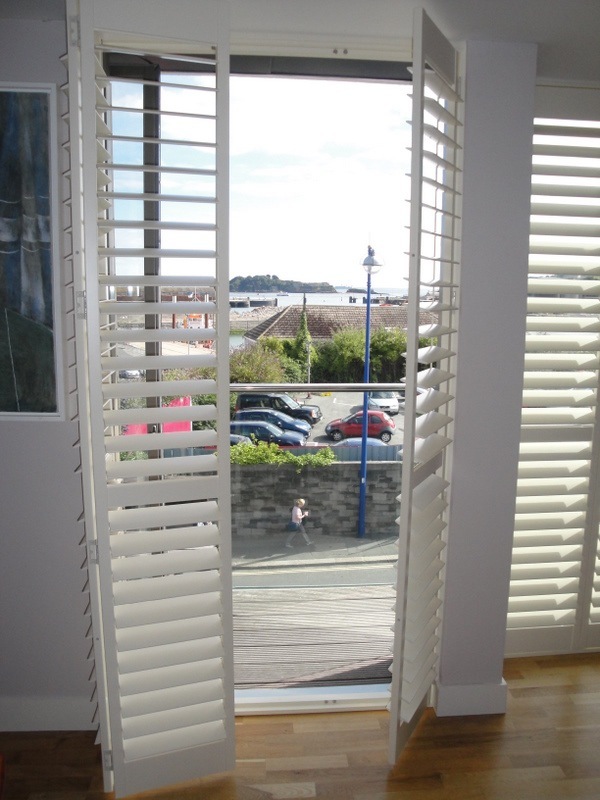 The owners of this house in Plymouth, Devon called on the expertise of West Country Shutters to help them cover the windows without losing the panoramic views. 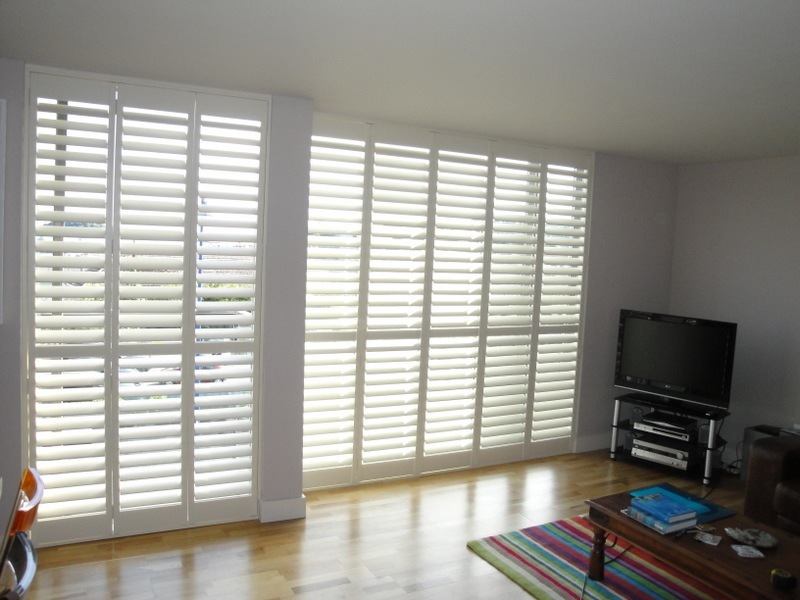 With such an expanse to cover it was important that the shutters suited the existing décor of the room. 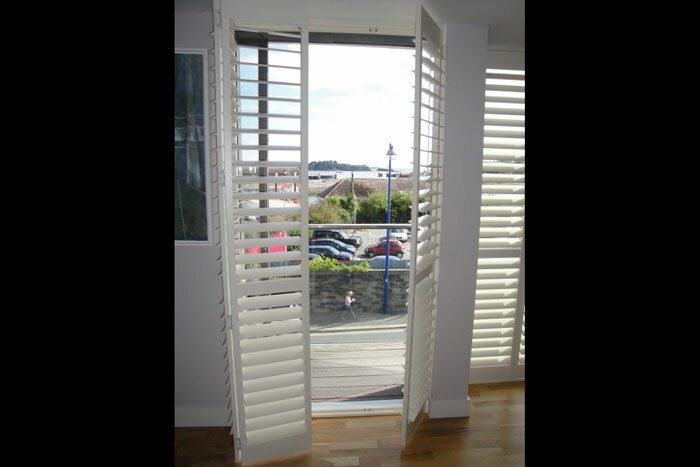 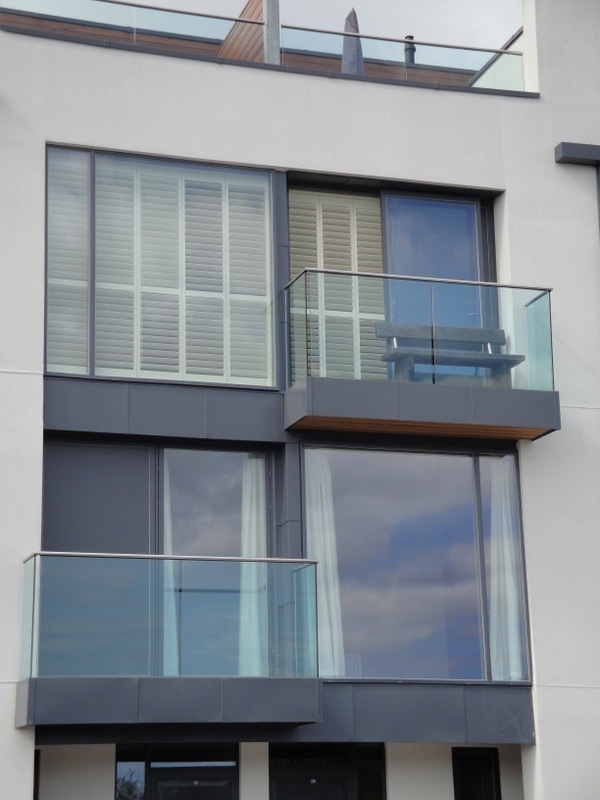 We recommended full height white door shutters with a midrail at handle height – meaning that the bottom section of slats could be angled for privacy from the road below whilst the top section could be left open. 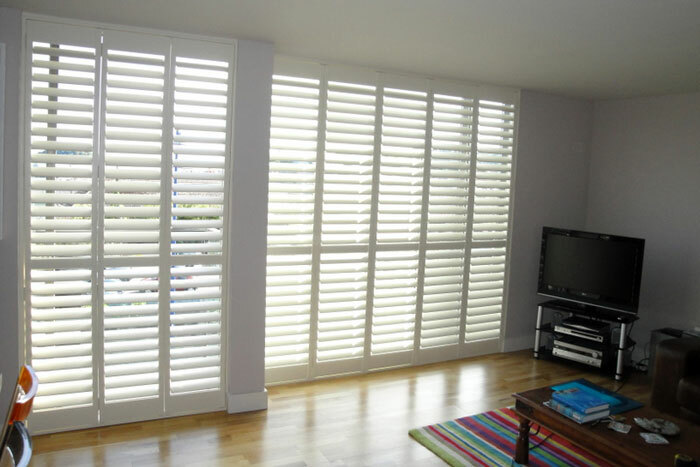 The wide slats can be angled to cut most of the light from the room – meaning that the family can watch television in the evening without sunlight obstructing the screen – or angled to let the warming midday sun stream in.